Having just spent 2 perfect days on San Juan Island I am once again feeling grateful that I live so close to so many exquisite places. The landscape at the southern end of San Juan Island draws me in like a magnet. I spent one morning exploring American Camp and was delighted again and again by the beauty all around me! 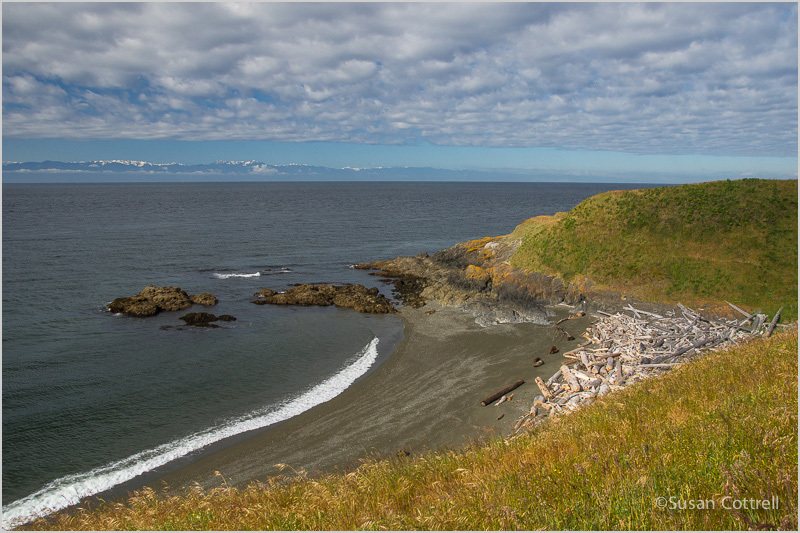 I was hiking the meadows above the Strait of Juan de Fuca and decided to go down into this lovely deserted cove. I walked the length and was taking pictures at the far end when I kept sensing someone or something. I looked behind me but saw nothing so I figured it was just the sound of the water. Then when I turned to go I looked up and behind me and there were 4 silhouettes staring down at me, like scouts out on reconnaissance surveying their territory. A delightful encounter indeed. 09 Jun	This entry was published on June 9, 2014 at 22:11. 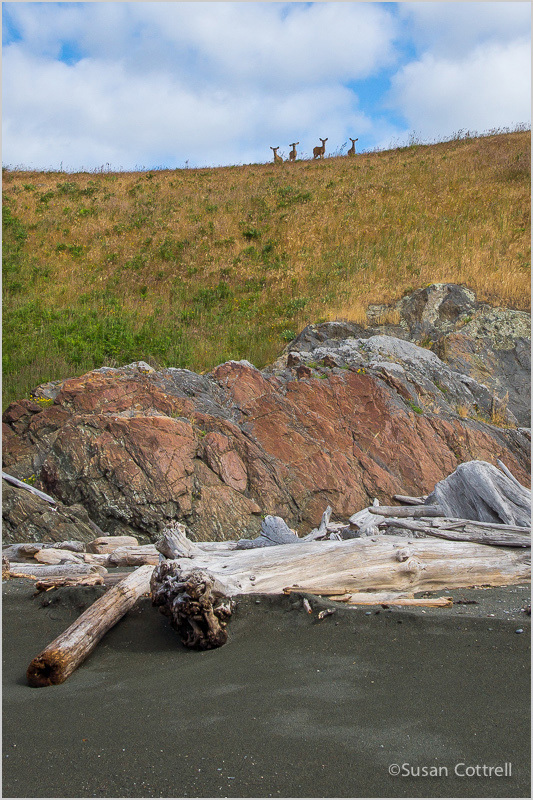 It’s filed under Coast, Nature, Pacific Northwest, Sky and clouds and tagged American Camp, beach, Columbian blacktail deer, deer, delightful, driftwood, natural history, nature, Olympic Mountains, San Juan Island, San Juan Island National Historic Park, Strait of Juan de Fuca. Bookmark the permalink. Follow any comments here with the RSS feed for this post.